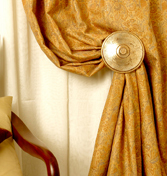 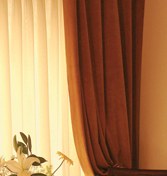 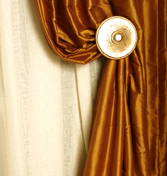 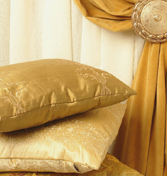 EFF's exclusive silk fabric and accessories present extravagant luxury and beautiful details. 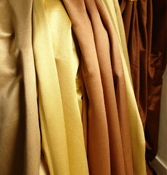 Tailored from the finest silks, our "Signature Silk"
In Italy, beginning in the twelfth century and continuing through the entire eighteenth century, the largest industry for the production of high-end fabrics in the western world was set up. 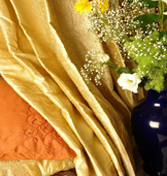 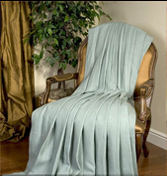 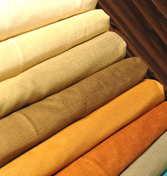 For centuries in Lucca, Siena, Venice, Florence and Genoa supplied the rest of Europe with these valued fabrics, to be used in clothing, wall coverings, upholstery, the trapping of horses, furniture of all sorts, and the interiors of carriages. 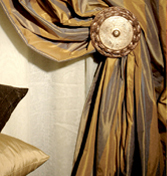 EFF is pleased to present Italian and European inspired antique designs that have been recreated in high quality Jacquards.